Looking for some deals on kids cloths? 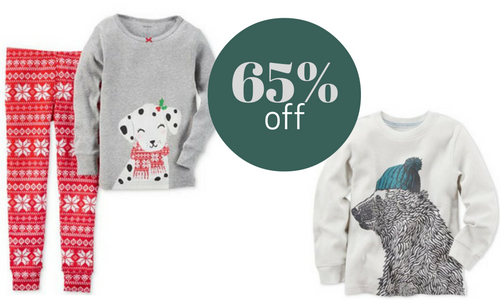 During Macy’s Cyber week sales you can still get 65% off Carter’s clothes starting today through 11/30. Carter’s has high quality and cute cloths for babies to young kids. You can get FREE shipping when you purchase a beauty item (starts at $3).